The project was to build two extensions to the existing school, form two new play areas and enlarge the parking area to the front of school. 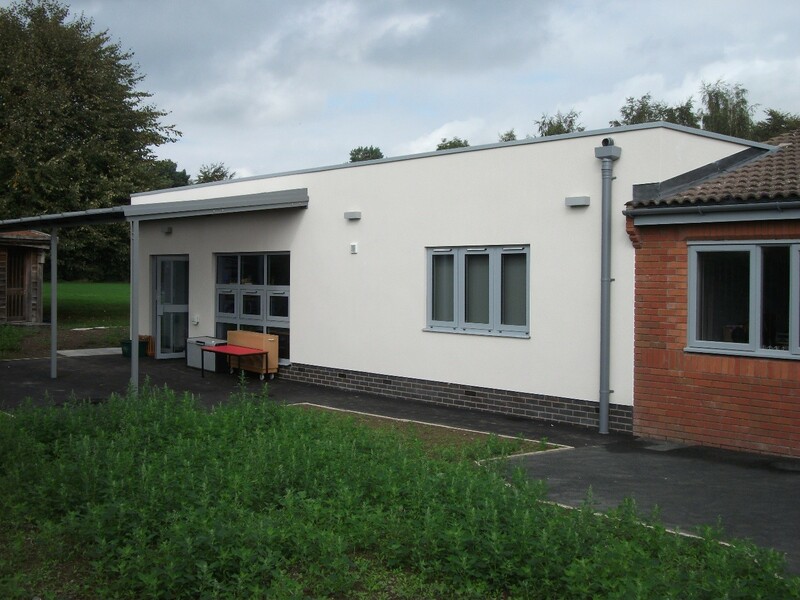 The rear extension was a classroom, Library and two toilet blocks. The classroom opened up onto a play area with canopy over. 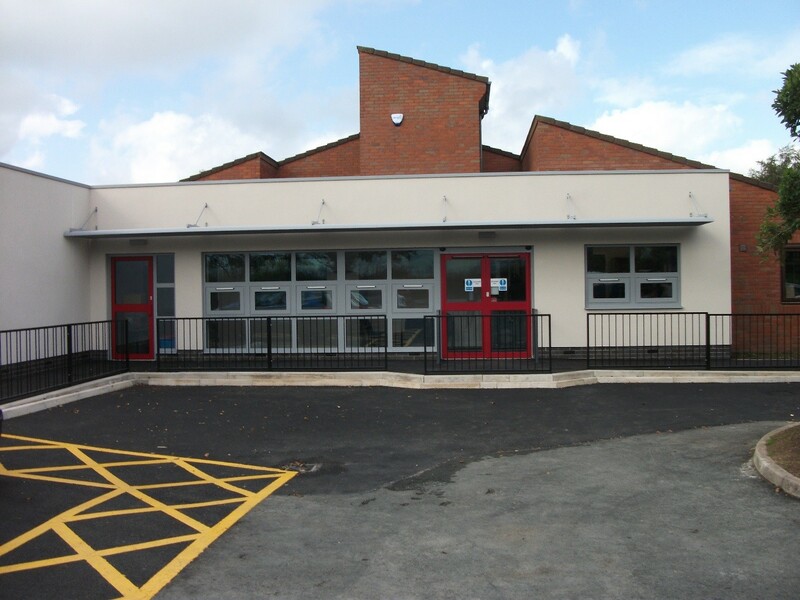 The front extension was to form a new nursery area which opens on to a wet play area with canopy above, new reception/circulation area, and internal alterations to existing admin area, staff room and heads office. 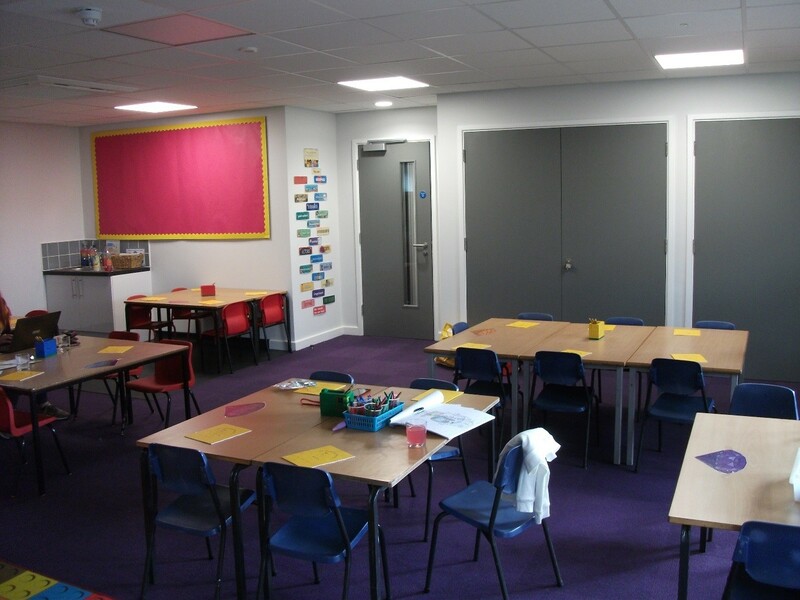 We carried out refurbishment of three further classrooms as an extra which entailed new floor finishes, new suspended ceilings and complete redecoration. The construction was traditional foundations, beam and block flooring, traditional blockwork cavity walls with the external skin finished with a coloured render. 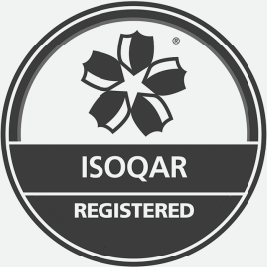 The roof construction was a flat roof construction finished with a icopal single ply system over metsec beams. The project was carried out with the school in full operation at all times, all works were coordinated with the school to cause as little disruption as possible. 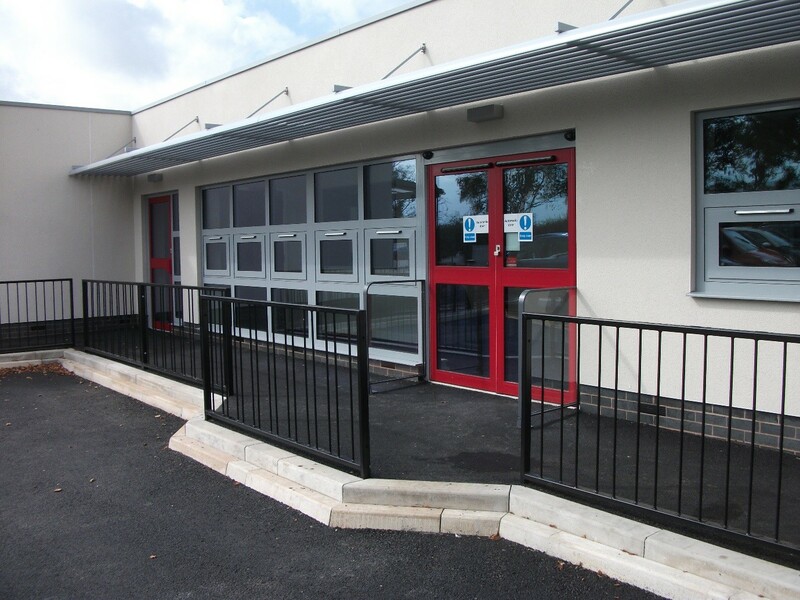 The most challenging part of the project was carrying out the refurbishment of the three existing classrooms.